I’ve had a pack of printable magnet paper lying around for a while and was waiting for a great project! 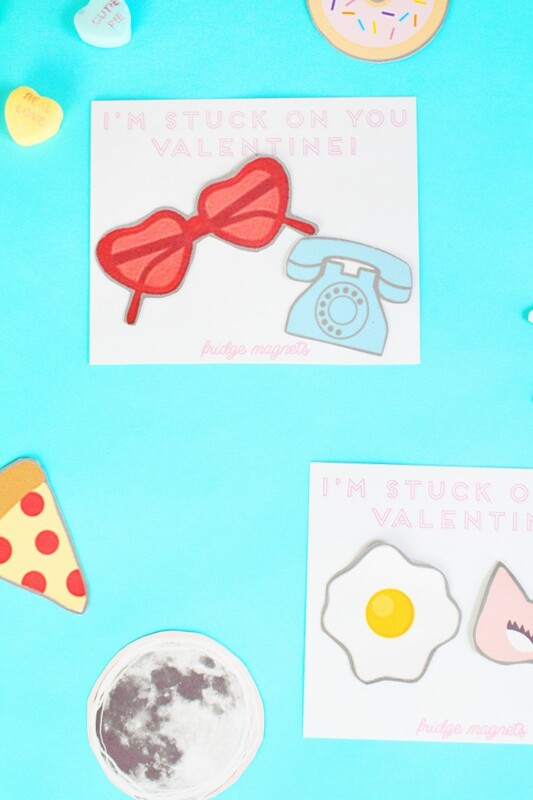 I thought that magnets that looked like flair pins would be really fun and cute and the perfect thing to hand out for a non-candy valentine option! This was such an easy project, just took a little bit of time to cut everything out. You could just do one magnet per card to make the printable go even further. What I love about these is that they’re great for any age! I love them, I mean, I made them for me (and to send to Malissa) but when my three year old saw them cut out, she kept saying how much she loved them! She kept laying them out and picking her favorites! This may be why I do so well with children… haha! But really, I think they’re just likable no matter what age you are. And while these definitely skew female (think Galentine’s Day!) there are plenty of boy-appropriate ones to. 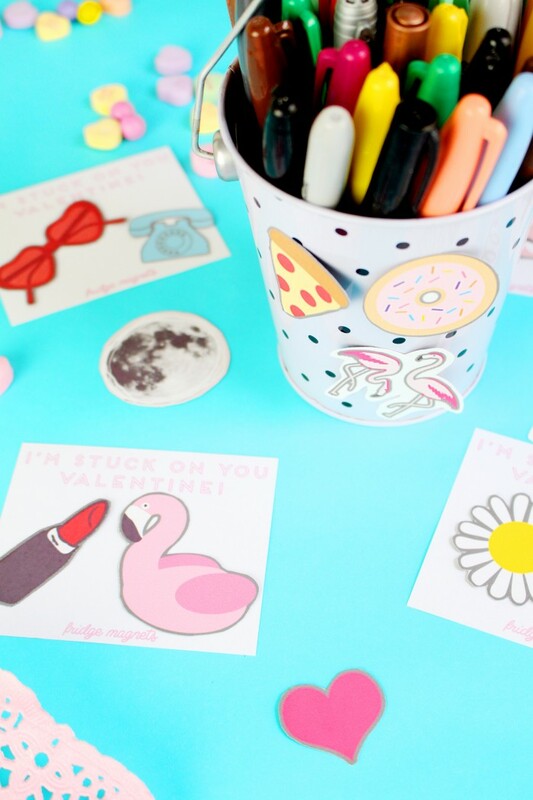 Grab our free printable magnet file. Open and print on printable magnet paper. Download, print, and cut valentine cards. Attach magnets to cards with a glue dot or roll of tape. 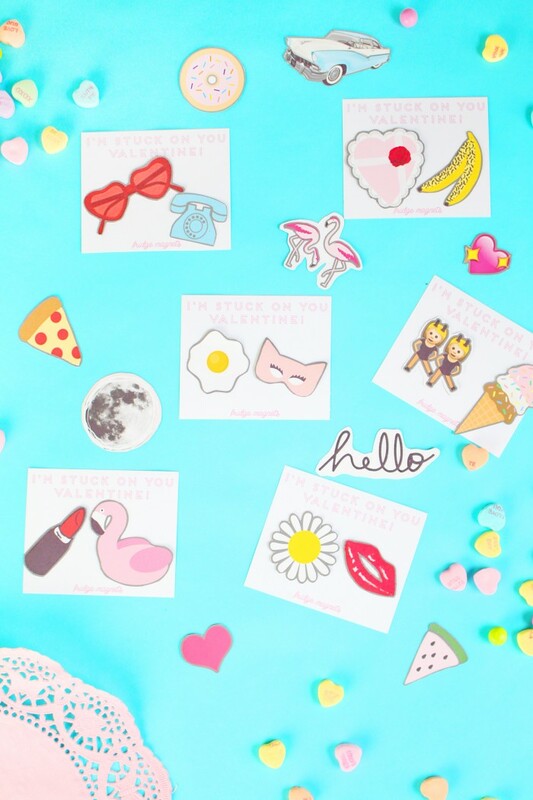 Hand out your awesome valentines!